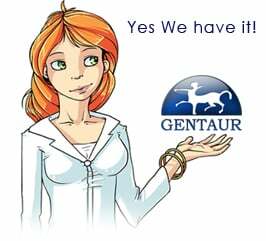 Gentaur antibody-antibodies.com The Marketplace for Antibodies : Reversible phosphocholination of Rab proteins by Legionella pneumophila effector proteins. Reversible phosphocholination of Rab proteins by Legionella pneumophila effector proteins. The Legionella pneumophila protein AnkX that is injected into infected cells by a Type IV secretion system transfers a phosphocholine group from CDP-choline to a serine in the Rab1 and Rab35 GTPase Switch II regions. We show here that the consequences of phosphocholination on the interaction of Rab1/Rab35 with various partner proteins are quite distinct. Activation of phosphocholinated Rabs by GTP/GDP exchange factors (GEFs) and binding to the GDP dissociation inhibitor (GDI) are strongly inhibited, whereas deactivation by GTPase activating proteins (GAPs) and interactions with Rab-effector proteins (such as LidA and MICAL-3) are only slightly inhibited. We show that the Legionella protein lpg0696 has the ability to remove the phosphocholine group from Rab1. We present a model in which the action of AnkX occurs as an alternative to GTP/GDP exchange, stabilizing phosphocholinated Rabs in membranes in the GDP form because of loss of GDI binding ability, preventing interactions with cellular GTPase effectors, which require the GTP-bound form. Generation of the GTP form of phosphocholinated Rab proteins cannot occur due to loss of interaction with cellular GEFs.